A Buckeye Girl Reads: Gini Koch’s Top 10 Sci Fi & Superhero Movies & Giveaway! 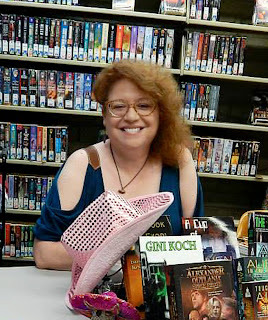 Gini Koch’s Top 10 Sci Fi & Superhero Movies & Giveaway! It's hard to believe that book ten in the Katherine "Kitty" Katt series is almost upon us! 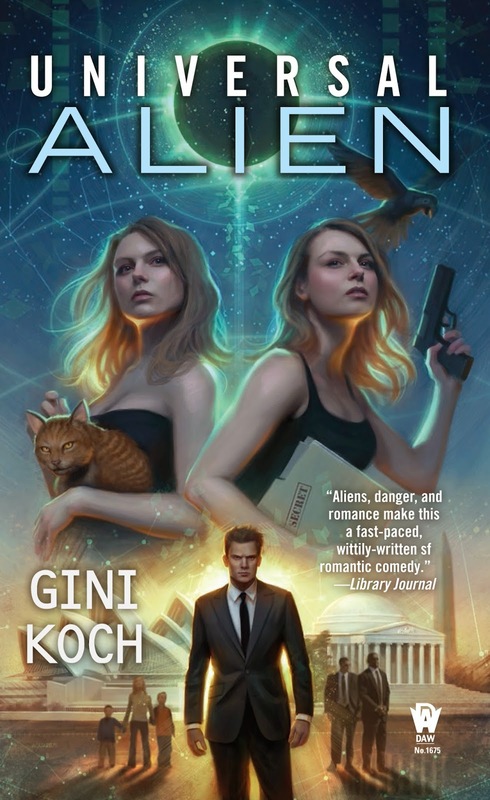 In honor of this being the tenth book in the series, Gini is here today with a giveaway and to do a top ten list of her favorite Sci Fi & Superhero Movies! This list does tend to fluctuate, in part because new movies come along that shove their way into my heart (waves at Big Hero 6), but these are my top ten as of today. With two extras because I know I’d be asked why they weren’t listed if I didn’t have them in here somewhere. Jeff and Kitty Katt-Martini find out just how easy it is for the wife of the Vice President of the United States to unintentionally insult an ally. Now they have to smooth things over with the Australian Prime Minister, pronto, or risk creating an international incident the worldwide anti-alien coalitions will be able to use to force Jeff to resign and the A-Cs to leave the planet. But before Kitty can make things worse, a cosmic congruence and a little help from some powerful beings shoves her into another world -- one where she’s been married to Charles Reynolds for years and aliens don’t exist. She’s also landed in the middle of a huge conspiracy and is marked for death…but at least that’s business as usual. Kitty’s not the only one confused, because the Kitty from that world has taken her place in this one. Now Alpha Team and the Diplomatic Corps have to make sure that no one spots that there’s been a switch, while keeping World War III from happening. And they have to do so while keeping this new Kitty in line, because she has views about what to do and how to it, and time is running out. Can both Kittys save their respective days before it’s too late to go home to the universes they belong to? Or will one Kitty decide to keep the other’s life…forever? 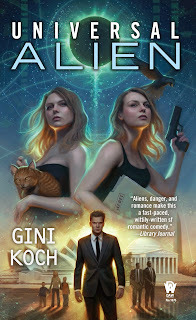 Gini is offering one winner the choice of one of any of the first 9 books in the Alien/Katherine “Kitty” Katt Series (Touched by an Alien, Alien Tango, Alien in the Family, Alien Proliferation, Alien Diplomacy, Alien vs. Alien, Alien in the House, Alien Research, or Alien Collective), signed and personalized. Open internationally. To enter, fill out the rafflecopter below!